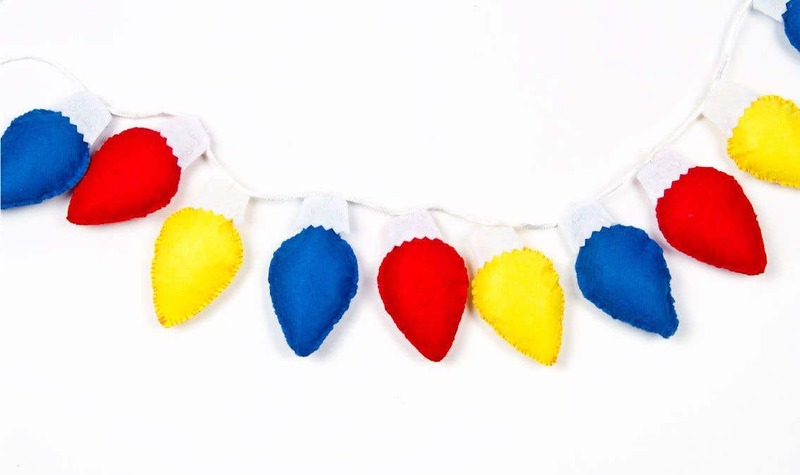 Put a modern twist on the traditional Christmas display with these fabric ‘fairy lights’. Using the template provided, draw two bulb shapes onto coloured felt and cut them out. Cut out a single light-base - using the other part of the template - from white felt. Take one of the bulb shapes and sew the top, narrow part to the white light-base using running stitch. Next, take the matching bulb shape and stitch to its partner piece using backstitch around the outer edge and leaving a gap for the stuffing. Push stuffing carefully through the gap until it's nice and squishy, then sew it up neatly, lining it up with the rest of the stitching. 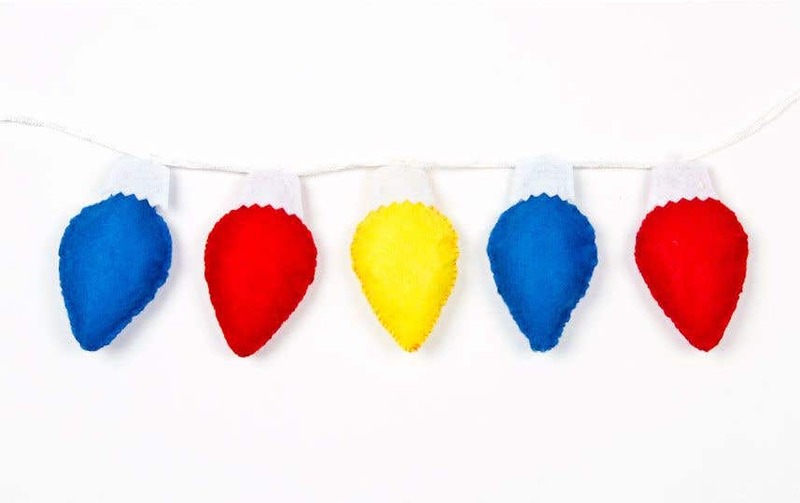 Repeat using different coloured felt for the bulbs until you have your desired amount of fairy lights. Sew a little loop of thread at the top of each white light-base, in the centre, so that you can hang them. Thread the lights onto a length of satin ribbon or white cord, pulling them along so they are equally spaced out along it. 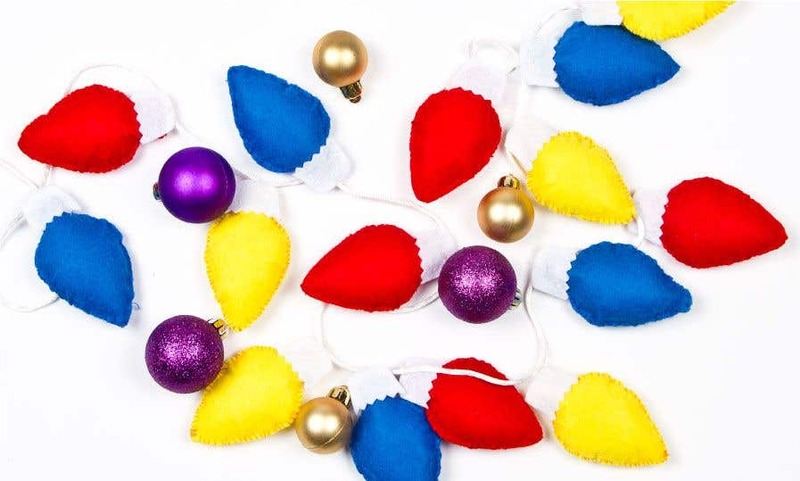 Now your fairy lights are ready to hang! 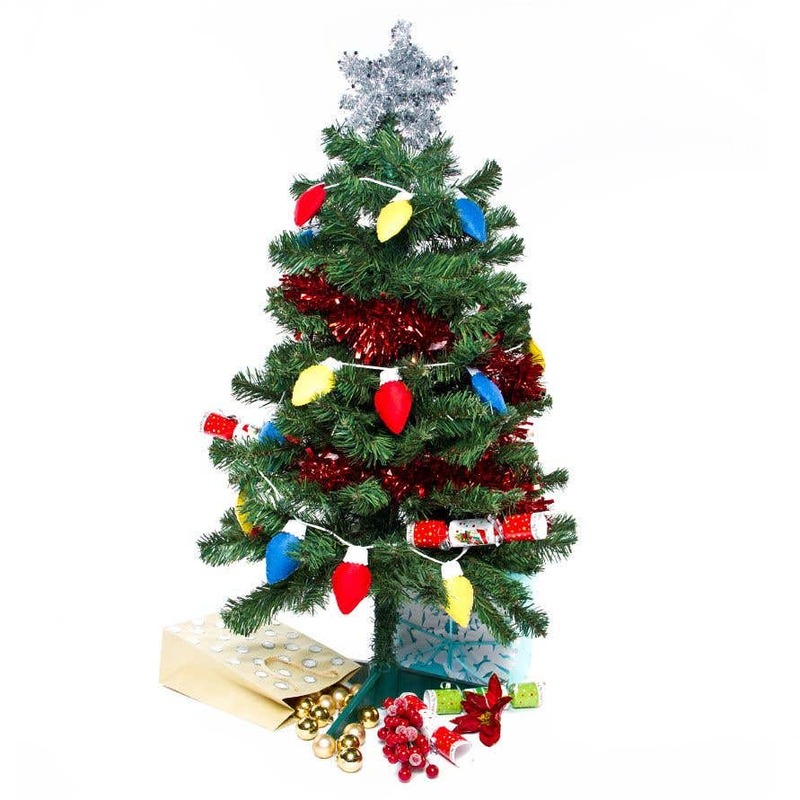 They look great along the mantel piece or in the place of tinsel on a tree. Try using self-adhesive felt sheets for the fabric shapes as an easy, no-stitch alternative!